There are no Commonwealth Wargrave Headstones within this churchyard. 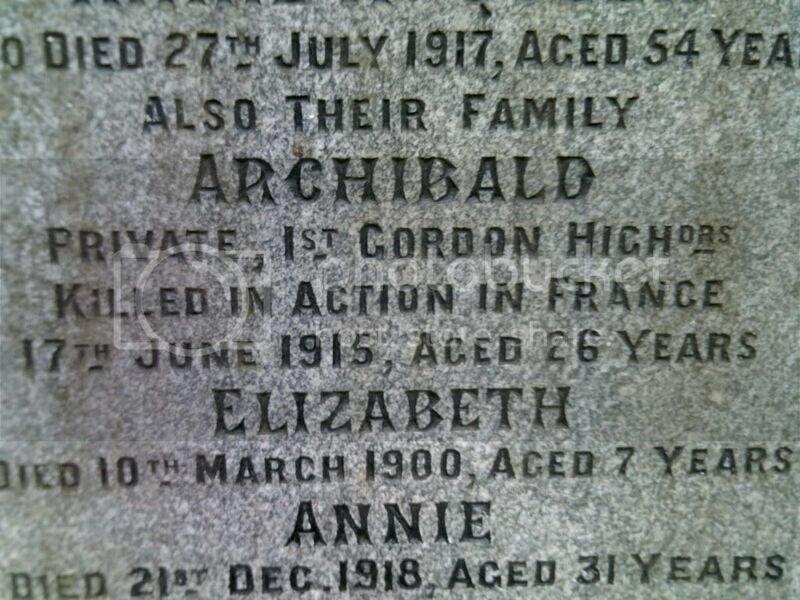 However, there are family commemorations. The remains of the persons mentioned remain on the Somme Battlefields. 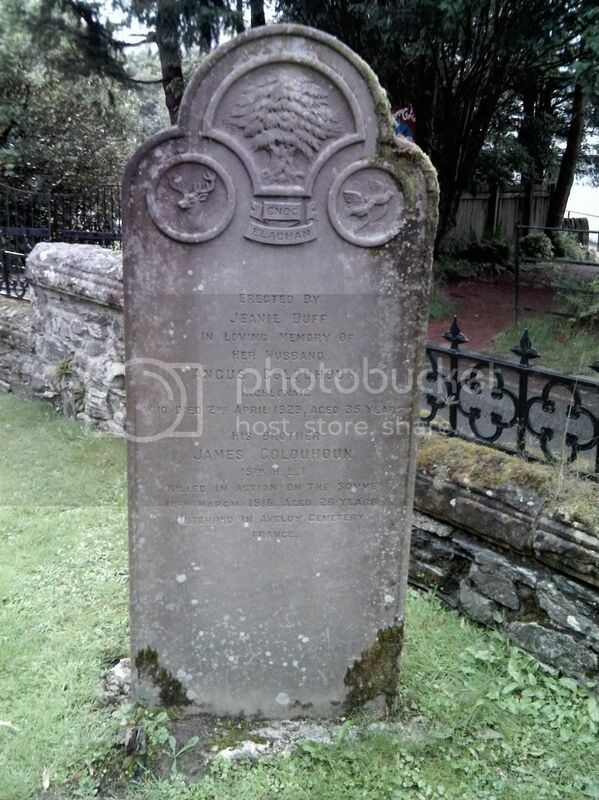 There are some unusual headstones within this church yard. Some with skulls and crossbones, even a viking burial. 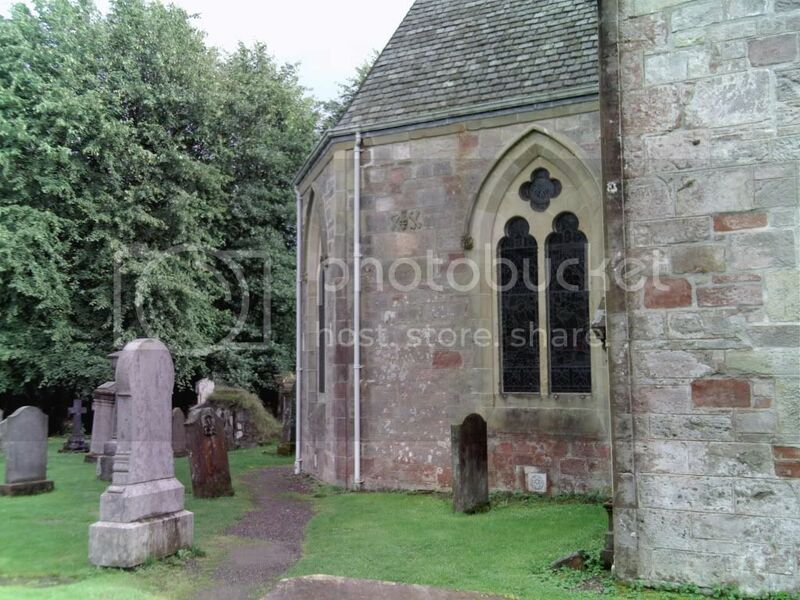 One of the most picturesque churches in Scotland and very sought after wedding location. 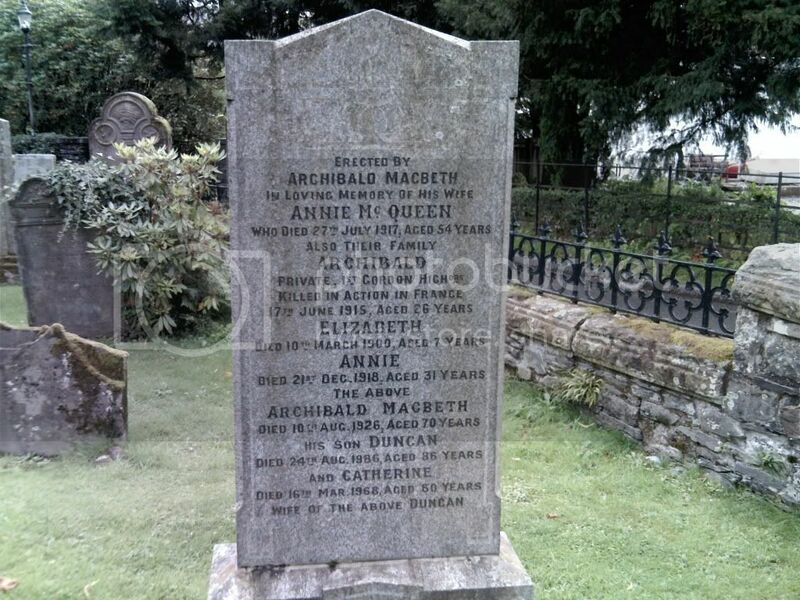 Additional information: Son of Archibald Macbeth and Annie McQueen Macbeth, of Old Mill, Luss, Dumbartonshire. 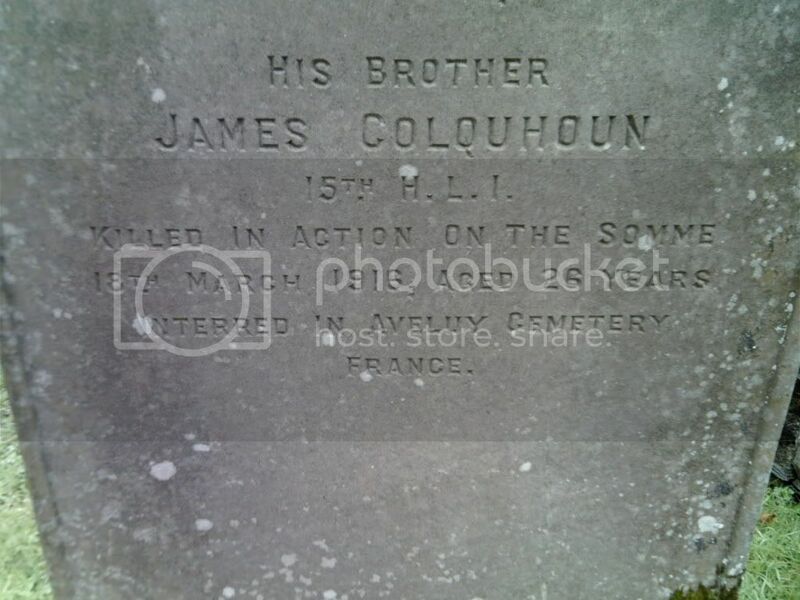 James was 26 Years Old. Unknown age is stated with CWGC.